LAS VEGAS -- A partnership between Hyundai Motor and Cisco Systems, the computer networking company, has yielded an in-car system capable of delivering over-the-air updates in vehicles produced as soon as late 2019, the companies revealed Tuesday at CES. The system speeds the amount of video and telematics data that can funnel through the vehicle, critical for autonomous vehicles that rely on an array of cameras and sensors. It will also provide a basis for cybersecurity required for vehicle-to-vehicle and vehicle-to-infrastructure communication. The architecture will be implemented in the Genesis luxury brand, then filter down to mass-market Hyundai and Kia vehicles. 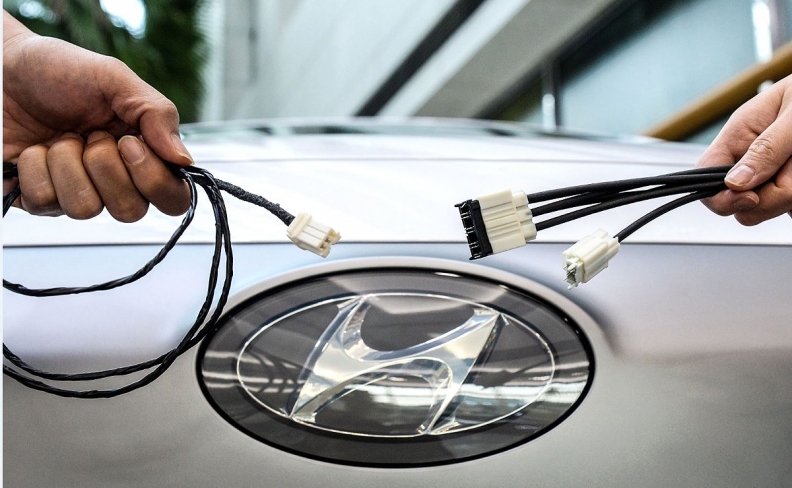 "There have been many [attempts] between OEMs and tech companies that did not go well," said Hwang Seung Ho, executive vice president of Hyundai's Auto Intelligence Business Division, which oversees the group's connected-vehicle efforts. "Hyundai Motor and Cisco worked well because we worked through all these tries." Cisco worked with the carmaker for more than a year to add more ports for video connectivity, better hardware to download and process data from external servers and upgraded security protocols. "We augmented their existing architecture," said James Peters, vice president of connected cars at Cisco. Hyundai has "some ownership of the supply chain, so their ability to go inside and pull something apart and help us understand it is almost unparalleled. They can open those doors." One example of the system's potential is with a blind-spot monitor on the Hyundai Nexo, the carmaker's hydrogen fuel cell vehicle revealed at the tech trade show, which provides feeds from external cameras to the information cluster. Peters said the system will undergo testing in the next two months.